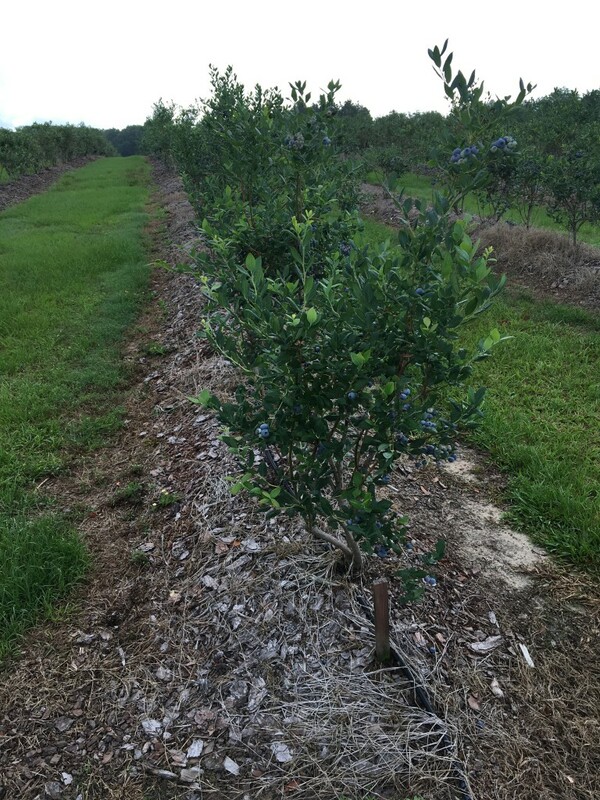 We think more about blueberries being in southeast Georgia, but Mrs. Elizabeth McIntyre has a good number of blueberries between Rochelle and FitzGerald that are that are ready for harvest now. About 90% of highbush are ready to be harvested, and rain and cloudy weather is not helping. The biggest issue that they are having, of course, is the rain. 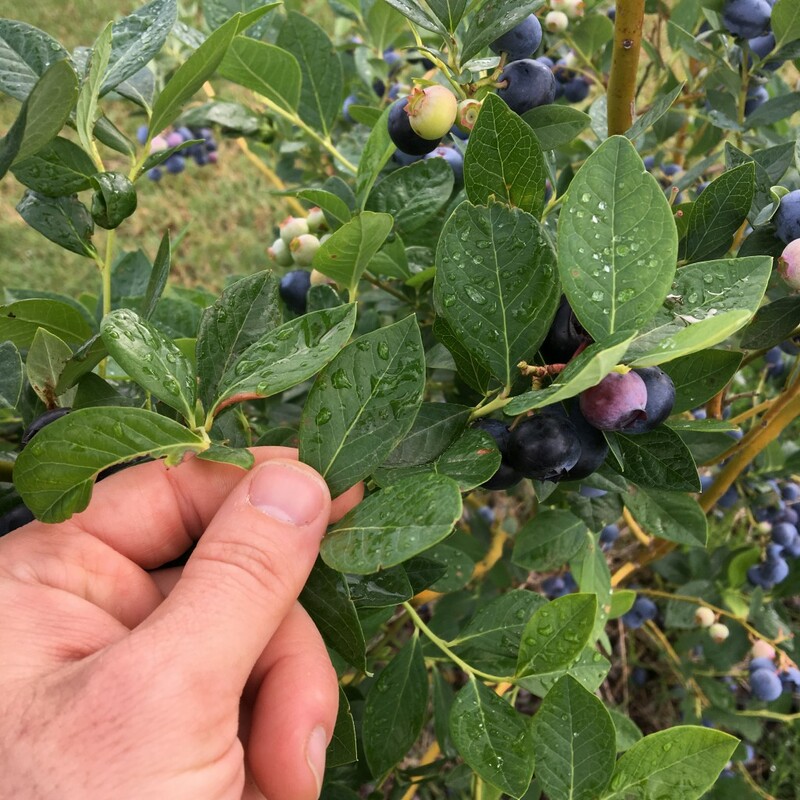 We can’t harvest of blueberries when the berries and leaves are wet. 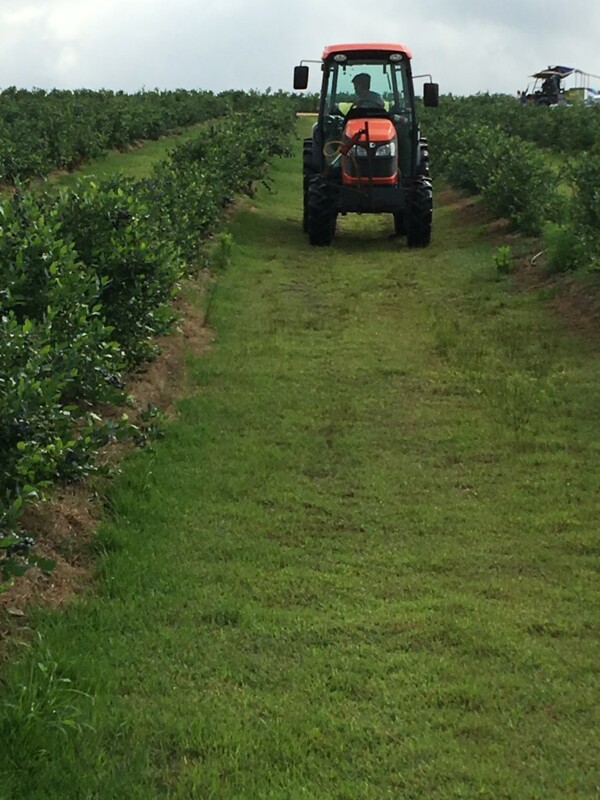 They are Using a blower similar to a pecan sprayer, and running between the rows to literally drive off the leaves and berries. And it is working, but with the rain every day it makes it very difficult.